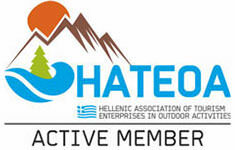 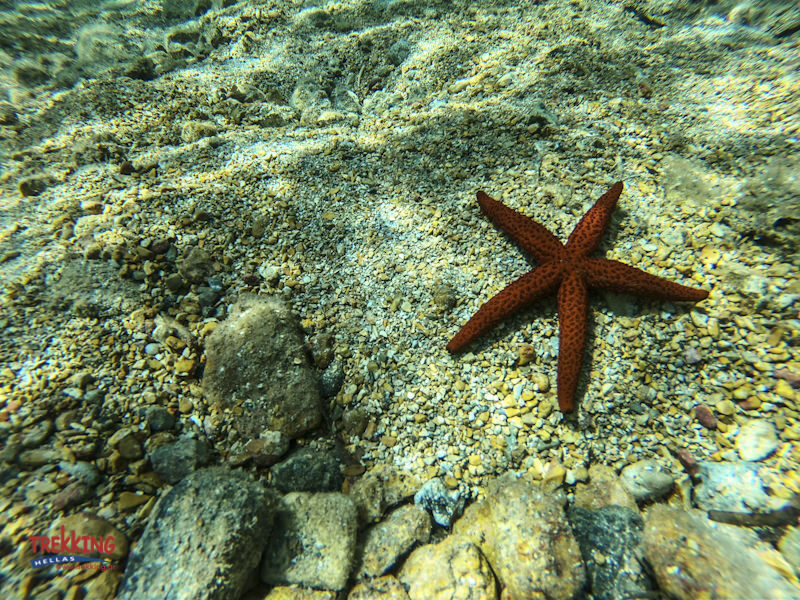 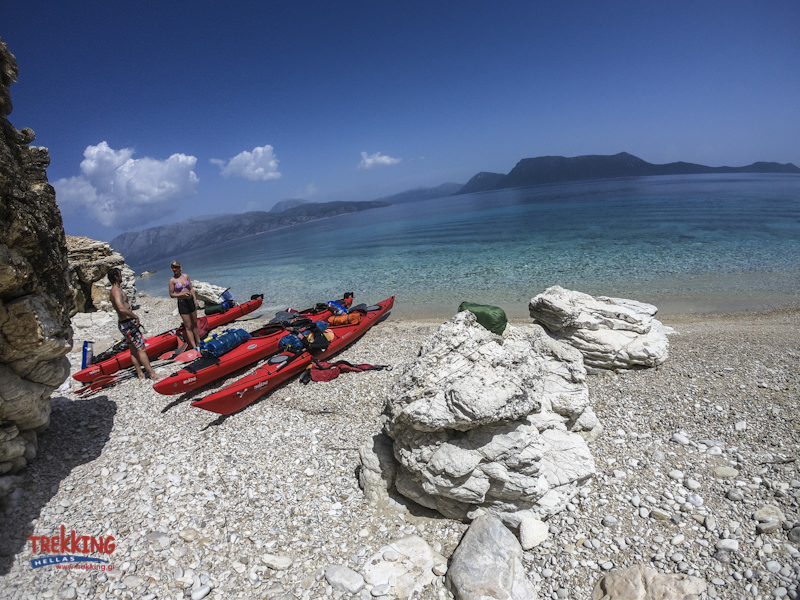 A thrilling sea kayaking guided tour in Meganisi island, specially designed for families! 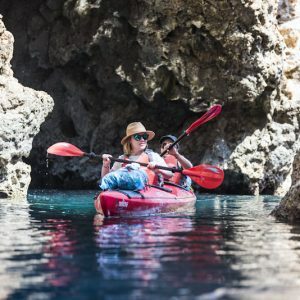 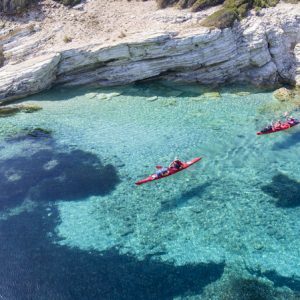 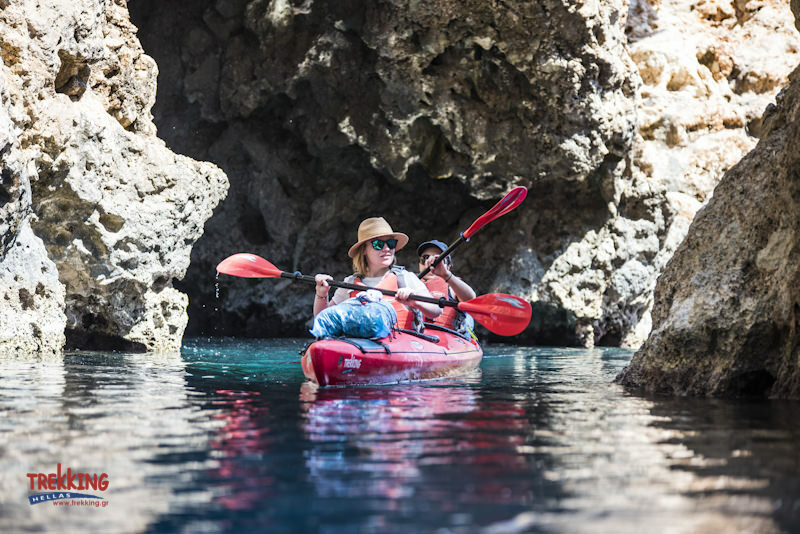 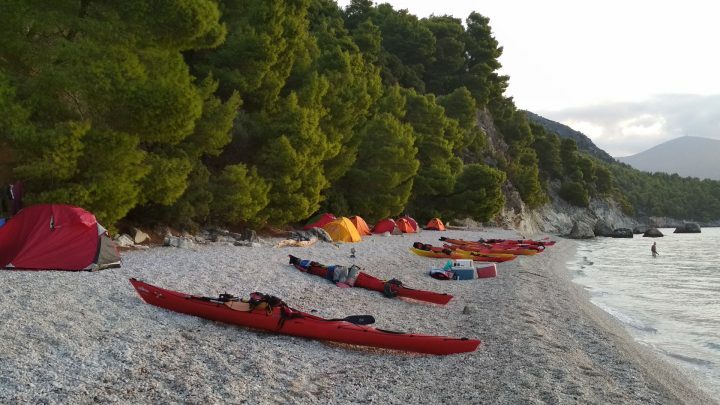 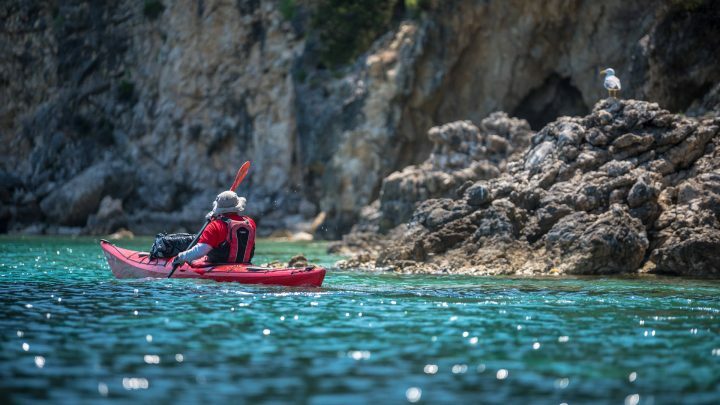 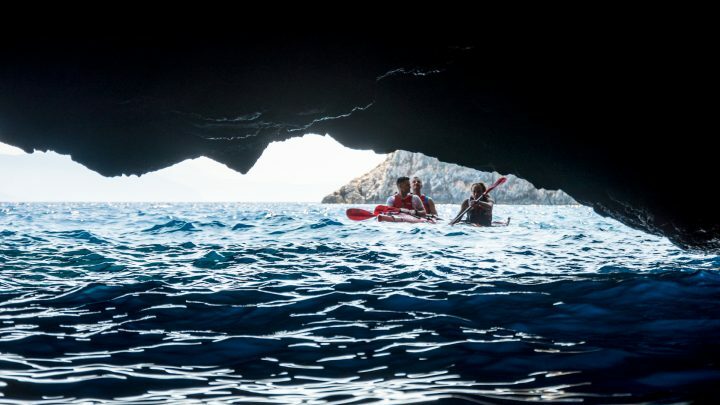 We launch with our double- sea kayaks from Roka beach near Spilia in Meganisi and paddle along the green northern coast of the island discovering hideaway coves. 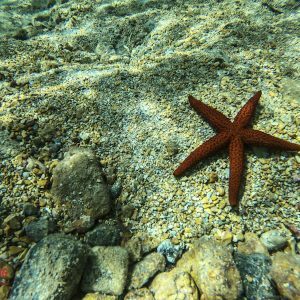 We settle into remote picturesque beaches for snorkeling or swimming and encounter an array of sea treasures. 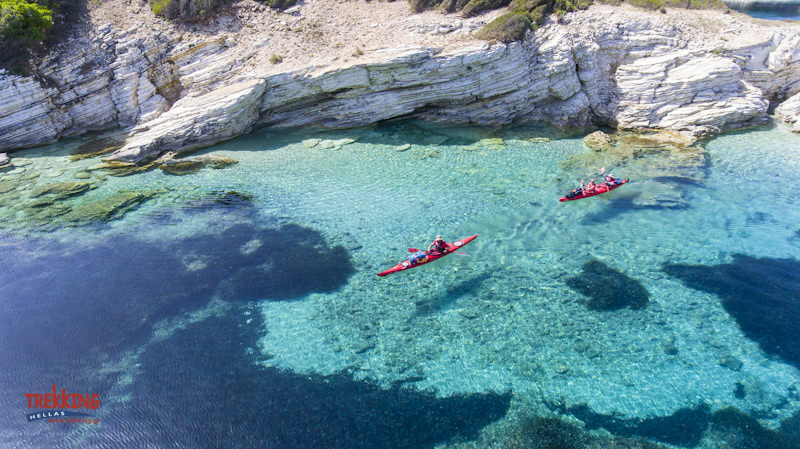 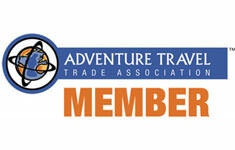 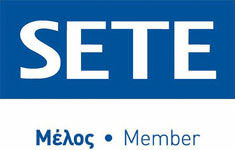 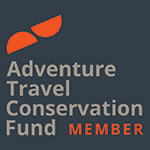 A tour for travelers of any age that want to venture in the magnificent crystal-blue waters of the Ionian Sea.